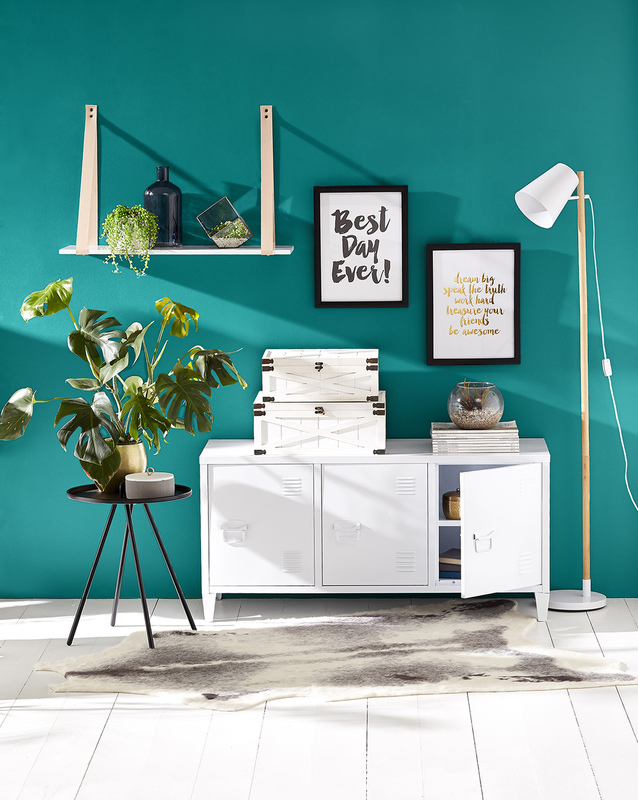 Kmart has taken its design cues from Cuba, the Hamptons and Scandinavia to inspire its new August ‘Inspired Living’ range in stores now. You’ve got to hand it to Kmart, lately their range of homewares and furniture is on point! Inspired by international trends, and adopting a bold approach to colour and print, their new August ‘Inspired Living’ range has me totally excited. And on top of that everything is so affordably priced. Not everyone has thousands of dollars to completely decorate their home, so Kmart is really making it easy for the majority to really get the designer look for substantially less. Embracing daring palm prints in beautiful hues of emerald green, Kmart’s design team has curated the Daintree Paradise range, which mixes monochrome with leafy motifs to striking effect. This tropical vista is juxtaposed with a riot of colour, reminiscent of lively Cuba streets, brightening the mood in light-hearted patterns. Moving toward a more classic aesthetic, the Classic Cove range nods to the calm quiet of the Hamptons. Tranquil tones of blue are brought to life by natural textures such as wood, marble and cork, with pops of brass adding instant warmth to the palette. Rounding out the August Living offering is the effortless, form-meets-function design of the Eco Urban range. Perfectly suited to the Southern Hemisphere lifestyle, the Scandinavian simplicity speaks for itself as matte black ceramics and clean-lined colourless glass are mixed and matched for a playful, yet refined look. Below we’ve rounded up our favourite finds from the new range – and the best bit, everything is under $50.